The long list below shows most of the surnames (and patronymic names) that appear at least five times in CRARG’s projects that include Radomsko, which is one of our core towns. The number indicates how many times the name appears. Records for persons from this town can also appear in projects for other towns, especially in marriage records and records for non-permanent residents. Jews were not permitted to live in Radomsko until approximately 1780. Instead, beginning in the 16th century, they lived in the nearby village of Bugaj. 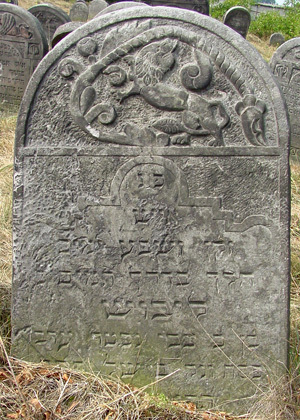 By 1808, a small Jewish settlement was established in Radomsko and a cemetery was begun in 1816. In 1827, 21% of the town’s population was Jewish (369 Jewish inhabitants out of a total population of 1,792). Just before World War II, the Jewish population had reached approximately 10,000 out of 25,000 inhabitants (40% of the total population). The Jews of Radomsko were a vibrant part of the city, establishing religious, commercial, educational, social, and philanthropic organizations and institutions. In June 1943, the Nazis declared Radomsko Judenrein (“free of Jews”). For Radomsko (and nearby towns), some data will be in our Holocaust records, but the vast majority will be in our pre-Holocaust records.